I just love when we're outside enjoying the day and I am able to spontaneously capture an image on my iPhone/Instagram, that captures the moment. This photo is a perfect example. We were just hanging out in the cul-de-sac in princess pj's and little miss was collecting acorns that had fallen from the tree. She's a bit of a nature collector so her hands were full. That's when I snapped this photo. I had already used some of the pink floral paper and most of the chevron paper so I put my scraps together to make a 12x12 page. I added some pretty lace trim from my Gossamer Blue March kit and add-ons and I had a great page foundation. My title can be read many different ways: Lovely Everyday Moments, Beautiful Girl, Lovely Girl, Lovely Beautiful Girl. Pick your fave and go with it. Perhaps the title should be Little Miss Sunshine or Handful of Gold. The point is that this little girl is all of the above. I don't use a lot of flowers on my layouts but this paper by My Mind's Eye in the GB March kit was irresistible. I knew I had to use it and I knew that my scissors would be getting a workout. I used the gold ink included in the kit to turn the wood veneer arrows gold. Once dried, I placed them in the chevron pattern and also right above my photo so they just kind of go with the (chevron) flow. I also journaled in the lines of the chevron. I finished the layout by adding little details on the page that almost blend in with the background. 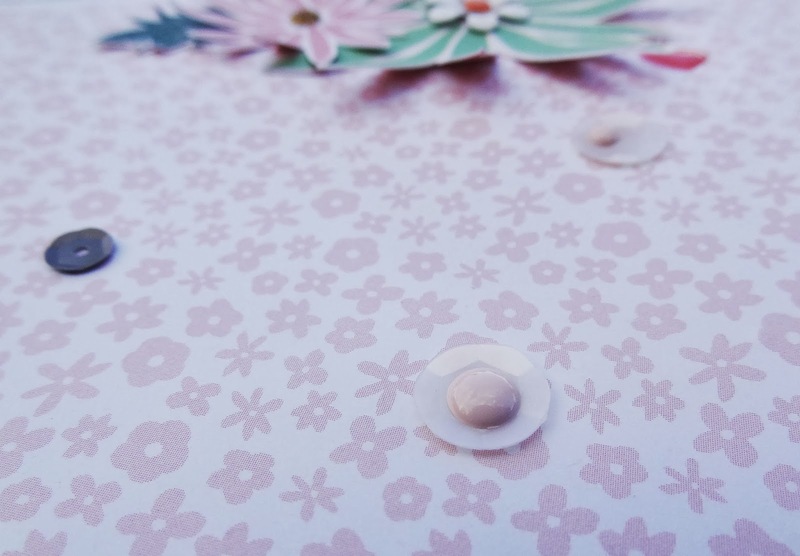 I placed white sequins here and there on the page and then added pink enamel dots in small and medium sizes in them. I also added a couple of grey sequins in a few places on the page. 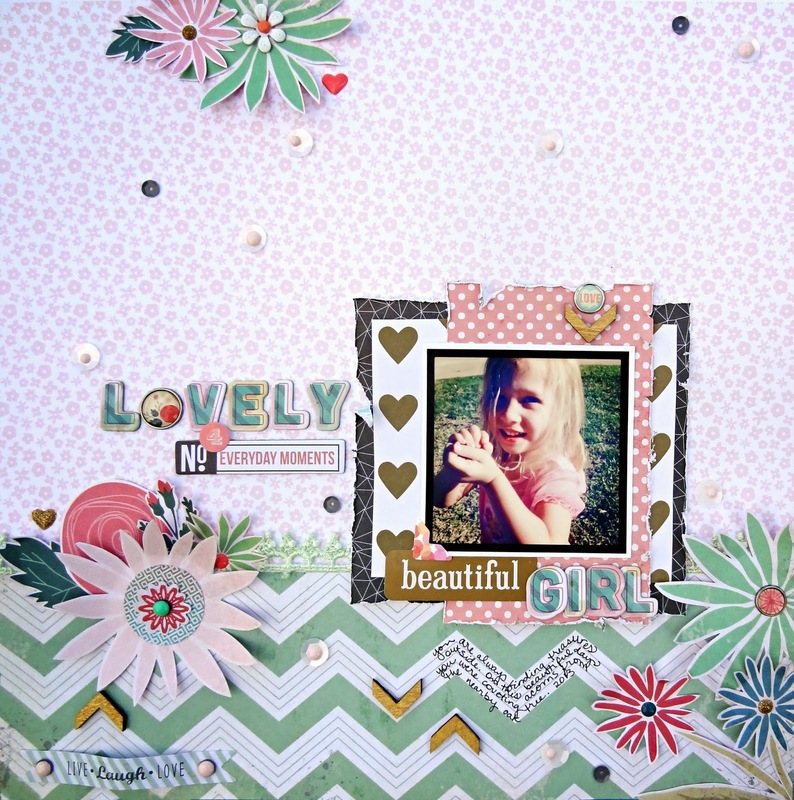 This layout was created using the Gossamer Blue March 2014 kit and add-ons. 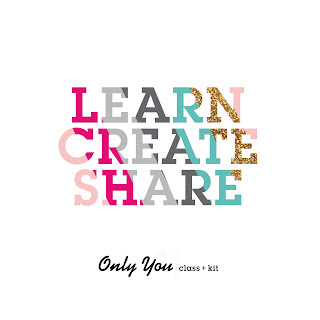 These sell out quickly because Lori puts together just the most amazing kits. I just can't wait to show you what else I created with the kits. 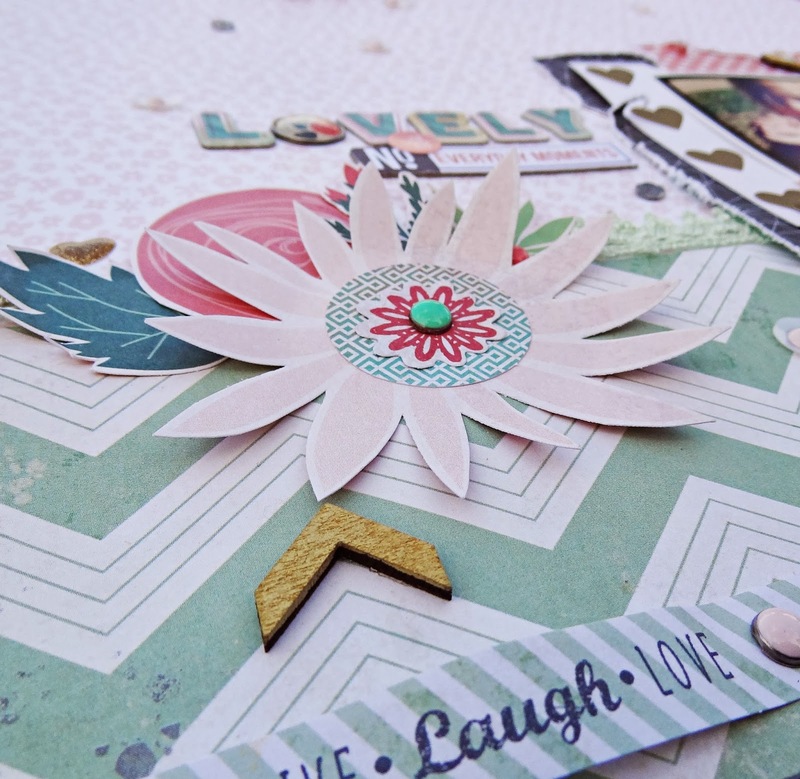 If you'd like to see more samples from this kit, visit the Gossamer Blue Design Team March gallery. What a beautiful page Heather!! Such a pretty layout. Love the colors!! Wow... I loved your page... this is very beautiful! 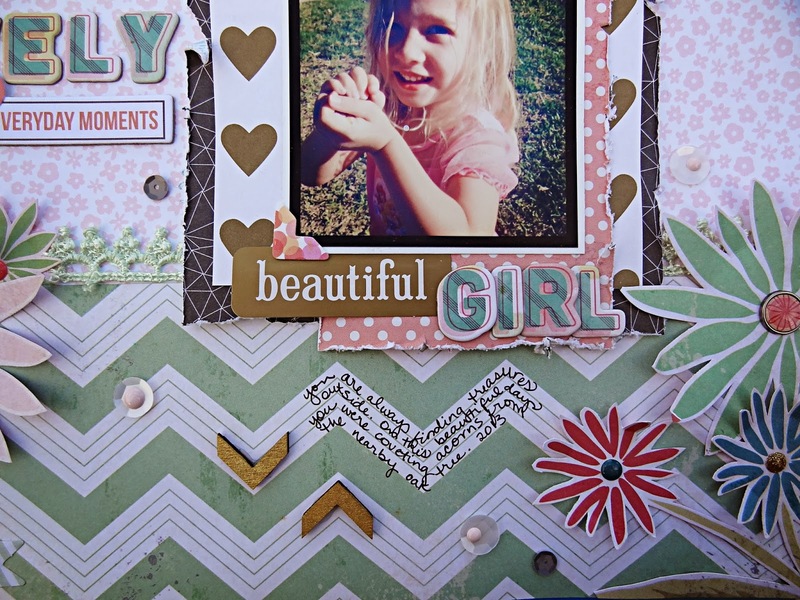 I am lovin your design on this one , especially the way you have done your journaling! seriously LOVING the fussy cut and colors on this one! !